EUR/USD is moving higher after breaking above the 1.1300 handle, always on the back of a softer greenback. 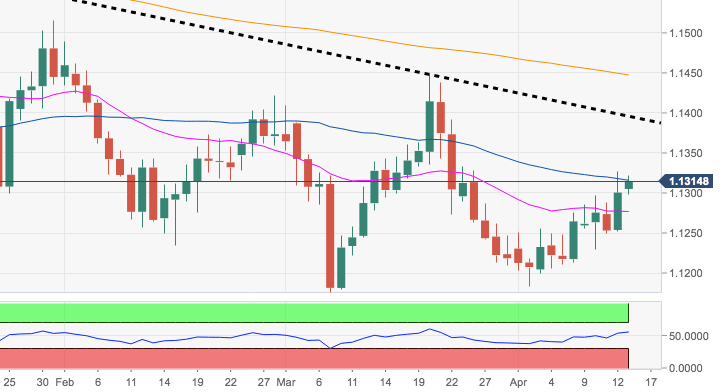 The continuation of the upside mood should pave the way for a test of the critical 200-week SMA near 1.1340 ahead of the 100-day SMA at 1.1345. Despite the ongoing recovery, the pair’s bearish outlook remains unchanged while the +6-month resistance line, today at 1.1395, caps the upside. In this scenario, another test of 2019 lows in the 1.1180/70 band stays on the cards for the time being.